While most people are wrapped up in Christmas preparations, professionals like accountants and bookkeepers are preparing year end report. With the year coming to its end, there are financial reports that need to be produced. Closing a year is a demanding task and it is especially frustrating because of a heap of documentation that must be prepared. To update the general ledger and prepare all the finance reports for year-end accounting procedures, you need data. 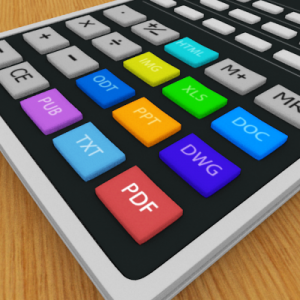 Chances are that you have lots of accounting data locked inside PDFs. If you want to edit or analyze that data, you need to extract them into an editable format like Microsoft Excel or Word. 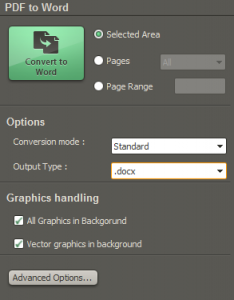 A comprehensive PDF Converter Elite offers not only simple conversion from PDF to Excel, but also a number of advanced conversion options such as the ability to activate rows to columns. This feature enables you to turn all information from one row into column and make it more visible for comparison, analysis or better data presentation. Furthermore, if you want to extract only certain parts of your PDF record, let’s say only liabilities accounts, you can use advanced selection options and convert only hand-selected data, pages or a page range. Then, it also offers you the ability to choose among multiple editable formats to convert your data into. For example, sometimes it’s more efficient to convert your cash flow statement into Word, rather than Excel. In that way, the table retains its original format and you don’t need to worry if your rows and columns fit the right entries. With all these reports to prepare for the year-end procedure, it usually takes more than one person to produce and check all the records before the closing is performed. It also requires the set of values and closing rules are defined and identified. In order to do so, you can use a stamp (watermark) as a tool for identifying every rule. For instance, you can mark your general ledger periods closed by putting a watermark “CLOSED” on the document itself. You can add both watermark text and image, and you can remove it after you run the closing request. PDF Converter Elite enables you to watermark your PDFs with text and/or images. For example, you can stamp all your PDF reports with your company logo as many companies choose to. To save time and boost your productivity even more, you can batch convert multiple documents at the same time. Simply start the PDF Converter Elite, click the Batch conversion icon on the toolbar and add all the PDFs you need to transfer to Excel, Word or some of the other available formats. You can even specify the exact folder into which you want to save all output documents, click the button Convert and in a few moments start editing them, without going back to your PDF Converter and converting those documents one by one. If you want to control how others view and use your documents, you can use PDF Converter Elite to create secure, password-protected PDFs. 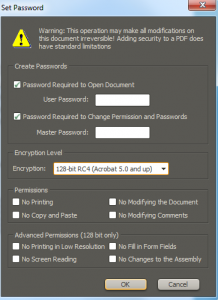 You can allow or disallow printing, copying and pasting and even modifying your PDF files. This is the best way to make your financial snapshot protected and decide who can see your company’s net income or other confidential data. 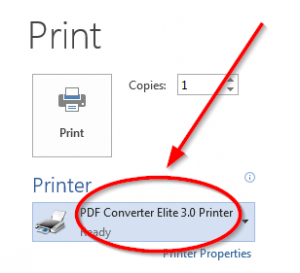 If you need to convert only one document to PDF, you can directly print it to PDF using PDF Converter Elite’s virtual PDF printer without opening the program. That is yet another time-saving feature that can speed up your reporting and boost overall productivity. As you can already see from the above, a comprehensive PDF Converter can help you maintain control over the whole reporting process and make your accounting year-end procedure painless and efficient. But, with PDF Converter Elite 3, you can do more than that. 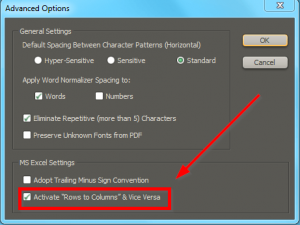 For example, you can make edits to your PDFs even without converting them. Its PDF editing features enable you to merge, split, bookmark, resize PDFs, and so on. To explore all its features, you can download it and try for two weeks without any cost.